Big Sister, Little Sister mentoring is a program designed for upperclasswomen to mentor, guide, support, and pray for the underclass women. The freshman and sophomore ladies have been selected specifically and thoughtfully by the junior and senior ladies. 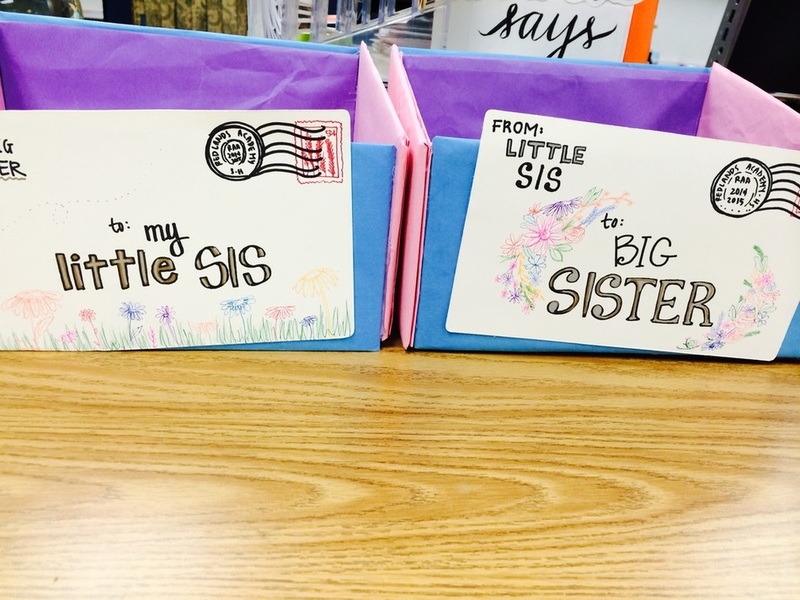 The selection remains anonymous to the younger sibling while letters and gifts are passed back and forth through specialized mailboxes located in Pastor Lemar's room. During the fourth quarter, the big sisters reveal themselves to the younger sisters in a big mixer. Upperclasswomen are encouraged to do all they can to make the younger girls feel loved and cared for in a Christlike manner.